Driving is often a pain, particularly in dense, congested urban cores. Start and stop, brake suddenly, stay carefully in your lane, drive defensively, then park in tight spaces. What if the car could do all that for you? 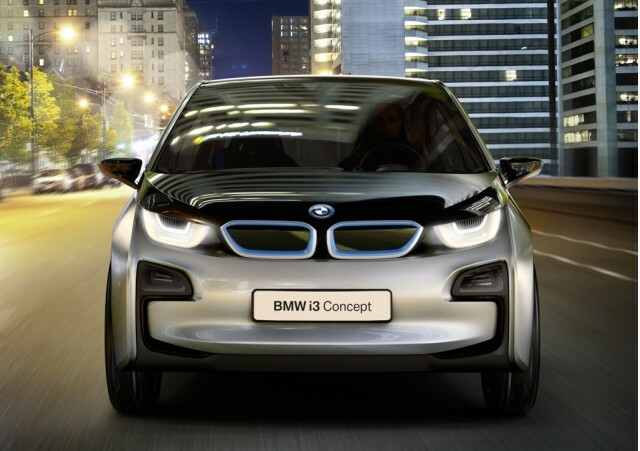 Last week, BMW showed off its new BMW i3 Concept, which points the way toward the 2014 BMW i3 battery-electric car that it will put on sale in late 2013. The i3 may have the highest degree of autonomous driving we've yet seen--though no one present at the event actually drove the cars, so for the moment, all we have to go on is BMW's description of the "visionary mobility services" it plans to offer on the car. 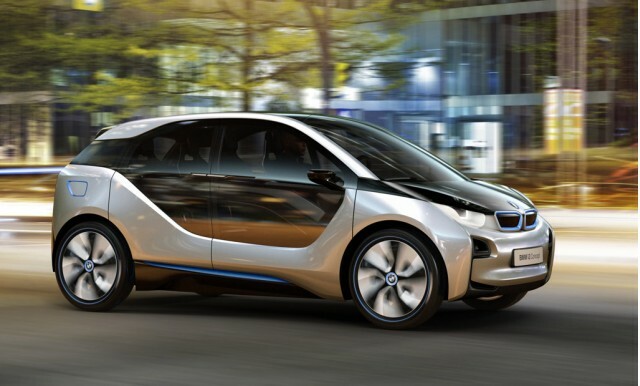 BMW says the i3 Concept is "designed for stress-free driving around town." With no gears to shift and all-electric drive, it will be smooth, quiet, and torquey, that's a given. But several of the driver assistance systems it plans for the car are as advanced as anything offered by any manufacturer, and one is novel indeed, something no other maker has provided so far. Active Cruise Control with Stop & Go: Like the adaptive cruise control systems first offered by Mercedes-Benz and now available on a growing number of cars, this system keeps the car at a safe distance from the car ahead (based on absolute and relative speeds), and can brake down to a stop and then accelerate the car back up to speed again. Passive Front Protection: An active safety system offered in the i3 and i8 that detects a collision risk ahead (including pedestrians, if the car is traveling at or below 37 mph), warns the driver, and automatically brakes if necessary. Parking Assistant: Toyota and Ford already offer automated parking systems, but BMW system goes one better by requiring no driver participation--the i3 performs the entire maneuver itself. (Toyota and Ford require the driver to accelerate and brake at times.) BMW claims the i3 can even switch between forward and reverse to angle into a tight spot. Traffic Jam Assistant: This is the big one; it performs all the functions of Active Cruise Control with Stop & Go, but it also steers the i3, keeping the car within lane markings up to speeds of 25 mph. The big caveat? The driver must keep at least one hand on the steering wheel at all times. Engineers at many carmakers will quietly acknowledge that "autopilot" functions for modern-day cars aren't far off. We already have adaptive cruise control, plus lane-departure warning and correction systems. Lane centering, to keep the car tracking down the middle of its lane, is an easy add-on to those. Then all that's required is a way to package, price, and sell this novel new option, and, probably, a legion of lawyers to craft protective language. BMW, however, is using driver assistance in a more challenging environment: the unpredictable, often chaotic urban core. We'll be very interested to see whether and where this combination of features makes it to market. The company also offers more predictable digital services for the electric drivetrains of both its cars, including remote charging and battery status checks, interior pre-conditioning and battery temperature control, and mapping options that calculate total energy consumption along different route options. 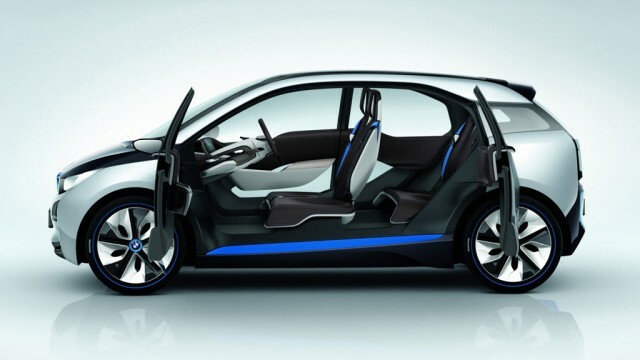 But to our mind, it's the possible autonomous driving that may be the most revolutionary aspect of the BMW i3 Concept. What do you think? Would you like your car to drive itself at certain times? When would that be, and when would it make you nervous? What about other drivers whose cars are driving themselves?